It is summer! It means that you are ready for summer getaways. You must have planned so many things to do in the summer. You may have a plan to head to the beach to enjoy the sun or simply plan to stay at home and do things you love. Whatever it is, there is no doubt that you will have a change of routines during your day off this summer. The bad news is that you may find it difficult to maintain your healthy habits. 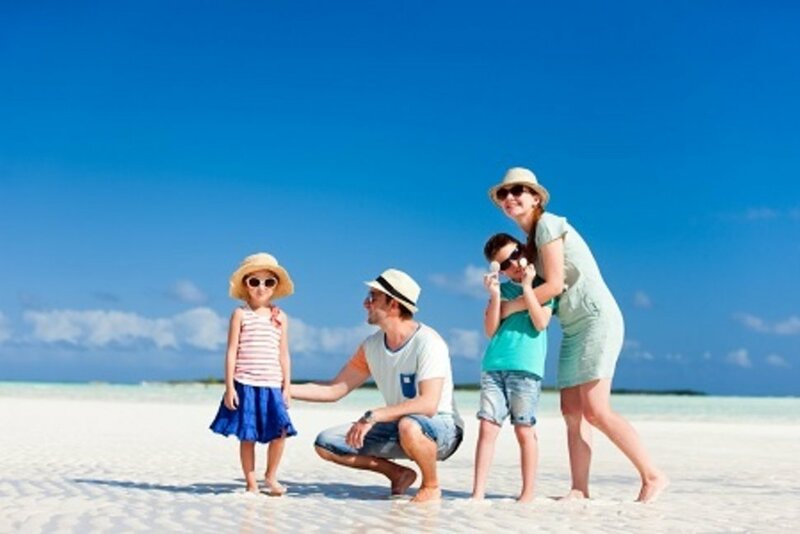 In order to help you enjoy the most of your vacation without sacrificing your health, there are some tips to stay healthy during summer vacation that you can take into account. These tips will help you to maintain your healthy habits while you are taking some time off during the summer. You may want to spend your day off to enjoy your free time so much. You may consider about sightseeing and staying out late for party with your friends. However, you must remember that you shouldn’t pack your day off too full of activities. You need to make sure that you have time to rest too. Remember that you still need to have enough sleep even though you are off now. Remind yourself that lack of sleep may lead to overeating and exhausting day. So, you have to get proper rest too in order to stay alert and enjoy your vacation to its fullest. You must have felt it that you are easy to get hydrated in the summer especially if you are trying to lessen your trip to restroom while driving or flying. Nevertheless, you need to remember that dehydration is able to make you feel exhausted or even jetlag. As a result, it is better for you to stay hydrated. There is a simple tips to stay healthy and hydrated. You can help yourself to keep hydrated by keeping a bottle of water in your bag wherever you go. Then, you can fill the bottle up when you can so that you are not running out of water. Having a day off doesn’t mean that you are off from doing exercises too. It is likely to be hard to do exercise during your vacation. As a result, you need to make every chance possible to get you move. Rather than grabbing a cup of coffee at your hotel, you can consider walking around to find a coffee shop nearby. It will be a good idea to add a little exercise to your vacation while sightseeing in the area. Sightseeing is certainly able to work up your appetite especially if you are going around culinary stand during your vacation. It is surely easy to overeat during any vacation especially if you skip meals during the day. Breakfast as well as dinner buffets may offer you various selections of foods, but sometimes you may find that this is a little too appealing especially when your stomach is empty. To avoid you overeat because of the appealing buffet, you can consider ordering an entrée and skipping the buffet. Ask veggies as the side dishes to a healthier choice. Taking easy on alcohol is another great tips to stay healthy during your vacation. Alcohol must be very appealing especially during summer party or something. However, you need to remember that drinking too much alcohol is able to lead you to worse dehydration or a horrible hangover. Thus, to avoid feeling miserable because of alcohol effect, you can opt for a diet soda or simply choose non-alcoholic beverage. Not only lessens your alcohol intake, it will help you to decrease your intake on calorie from alcoholic beverages. Well, this is summer and you may love to go outside to embrace yourself into the sunlight. However, before you go it is important for you to apply sunscreen. It will help you to prevent skin issue like skin cancer and also is proven to help your skin to regenerate. If you have a fairer complexion, it is better for you to use sunscreen with higher SPF since you have less melanin. Then, lotions are considerably more effective rather than sprays. So, you can opt for sunscreen lotions. You may want to make sure that you have brought everything with you. However, travel in light luggage is actually another way on how to keep healthy body during any vacation. The reason is because heavy luggage may lead to injury like pulls, tears and strains. If you have to pack more since you are going for an extended travel, you must make sure that you have been familiar to the right technique to lift heavy things or you can consider ask a porter to help you with your things. Barbeque is very popular treat during summer vacation. However, for the sake of your healthier body, it is recommended to alternate for your traditional staples to widen your palette a little. In this case, you can opt for grilled fresh fish or chicken instead of traditional brats and burgers. This is because fresh fish and chicken are considered much healthier than hot dogs or hamburgers. More importantly, they will help you to feel fuller in a longer time as well. You can check a healthy and tasty recipe for grilling ideas on the internet too. Now, you have learned some of the tips to stay healthy during your summer vacation. In brief, you shouldn’t go away from your healthy habit for enjoying your summer. You can still enjoy your summer while maintaining your health. Don’t forget to stay hydrated, avoid too much alcohol and stay active during your vacation. The last but not least, enjoy your summer vacation and be happy! 1 Response to "Tips to Stay Healthy during Your Summer Vacation"